It was once a cacophonous pleasure zone with brothels, bear-baiting, gaming dens and four Tudor theatres: The Globe, The Rose, the Swan and the Hope. Shakespeare and Dickens lived here. Samuel Pepys watched the Great Fire light up the London sky from here in 1666. So, if you’re visiting London, make sure you visit Bankside – it’s steeped in London history, it’s a mecca for literary lovers, and it’s one of the capital’s top foodie destinations. The magnificent Globe Theatre is a replica of the original 1599 playhouse, owned by the Bard himself. It was destroyed by a fire in 1613, thanks to an explosive cannon during a performance of Henry VIII. You can see the site of the original Globe on Park Street, but “as good luck would have it,” you can head over to the new Globe on Bankside for some of the best productions this side of the sixteenth century. (I always recommend the standing seats in the yard – you can soak up a good dose of Shakespearian atmosphere that way). The view from the top of Southwark Cathedral is a marriage between London, old and new. OK, not Will’s but that of his brother, Edmund, who was also an actor at the Globe and was buried in Southwark Cathedral, London’s oldest church building. The exact location of the grave is unknown, but there is a memorial stone in the choir area. Make sure you also check out the Shakespeare statue and the stained-glass window, featuring several Shakespearean characters. Budding knights will want to check out the 1280 AD wooden effigy of a knight. Check the website for events. The Rose was the first public theatre to stage one of Shakespeare’s productions. By 1603, it had vanished into thin air, but an excavation in 1989 during an office redevelopment led to the discovery of some of the remains of Bankside’s first theatre. Today, you can visit The Rose and see the location of the original stage, pit and courtyard from a viewing platform. The Rose also holds events throughout the year. More details here. Winchester Palace, once home to the Bishop of Winchester, is now an English Heritage site. The City of London didn’t fancy the idea of prostitution within its walls, but it was seen as a necessary remedy for its frisky male population. The solution presented itself in the form of Bankside, only a stone’s throw away from the respectable side of the river. Back in 1161, the Bishop of Winchester was granted a licence for brothels and prostitution in this area, named Liberty of the Clink. The Clink prostitutes were known as Winchester Geese, one of the more famous being Clarice la Claterballock. Henry VIII would shut down the Bankside brothels three centuries later, and when Puritanical Cromwell got his mitts on the area, much of the entertainment industry was snuffed out. What I want to know, is how did Clarice get that fabulous name? Back in 1611, James I granted the Boot and Flogger a special dispensation as a “Free Vintner,” granted by the Worshipful Company of Vintners. It’s the perfect pit-stop during your Bankside walkabout. Walk along Redcross Way, opposite the Boot and Flogger pub, and you’ll come across a sea of ribbons tied to railings. This marks the gate to the Crossbones Graveyard, which is thought to contain the bodies of 15,000 people. It’s unhallowed, so there is no record of who is buried there, but the story goes that this was the resting place for prostitutes and paupers. It was referred to as the Graveyard for Single Women who were denied burial in St Saviour’s nearby due to their profession. Before Banksy, there were ghost signs. The Take Courage one is the most Instagrammed ghost sign in the country. The 1955 advertisement for the famous brewery on Redcross Street was designed to lift the spirits, in the liquid sense. You can catch it on foot or by train, as you leave London Bridge Station, the city’s oldest surviving station. The George Inn is London’s only surviving galleried inn and one of the city’s oldest pubs. Elizabethan customers could come here to watch plays, and it is likely that Shakespeare was a client. Dickens liked to have a tipple at The George – the pub gets a mention in Little Dorrit. Once Nelson had made mincemeat of Napoleon’s fleet at the Battle of Trafalgar, the Brits looted the French boats, taking home these cannons and installing them throughout East London. What a perfect way to shove two fingers in the face of the French.You can see other examples in Shoreditch’s Boundary Passage. If you’re potty for films…. 7 Stoney Street is the door to the Leaky Cauldron in Harry Potter and the Prince of Azkaban. This is where Harry is dropped off after his mind-bending journey on the Knight Bus. Next door is the Market Porter pub which was transformed into Harry Potter’s Third Hand Book Emporium. Pop over to the Globe Tavern on Bedale Street for a glass of Chardonnay. The flat above was Bridget Jones’s singleton digs, although I think by now she’s living the country life with Darcy. At No 49 Bankside, next door to Shakespeare’s Globe, is a pretty “blue” ceramic plaque. It claims Christopher Wren lived here during the construction of his beloved St Paul’s, and that Catherine of Aragon, first queen of Henry VIII took shelter here when she landed in London. But it’s just a clever piece of fake news. In 1945, the then owner of the house erected the plaque in a bid to preserve the house from a council-led demolition order. Lucky for us, the hoax worked, as it is a very pretty house indeed. I’m not a big fan of the Tate Modern’s titanic, rather unwelcome galleries, but it puts on some stellar exhibitions every year. And it’s designed by the same architect behind the red phone box, the very talented Giles Gilbert Scott. And what would London be without Mr Scott’s iconic design? (PS. You can see the original phone box prototype tucked behind the gates of the Royal Academy). The Millennium Bridge, affectionately known as the Wobbly Bridge, connects Bankside to St Paul’s Cathedral. Harry Potter fans will remember it from Harry Potter and the Half-Blood Prince when the Death Eaters attack London. When it opened on the 10 June 2000, it started to sway and subsequently had to be closed down for over two years. The bridge was re-opened on the 22 February 2002 following a £5 million bill to fix the problem. You’ll be pleased to know it doesn’t wobble anymore, but I can’t guarantee you won’t meet a Death Eater. Borough Market claims it was born in 1014, and by the nineteenth century, was one of London’s busiest food markets. These days, it’s also one of London’s top food destinations, with stalls selling fruit, vegetables, cheese, spices, and breads. Rest your weary feet in a warren of restaurants and cafes, but expect to queue for the more popular ones. Thank you to Mr Londoner and to Visit Bankside for letting me tag along on a tour. How fantastic, I hope she has a great time getting Pottified in London! The Globe is absolutely fantastic, even my kids love it. I don’t know Where the Pancakes are but sounds like I should! Thanks so much Clare. There is always so much to see and do along that slice of the river. The Golden Hind is a very special landmark as well, easily overlooked where it’s tucked away! I didn’t realize there is so much in Bankside to see. I did go to the replica Globe theatre, the Tate Modern, and walked across the Millenium Bridge (didn’t get into St. Paul’s as it was closed for a special event). I do like the canon bollards – they make me smile. They are funny Rhonda – I imagine they had great fun taunting the French with those! In every nook and cranny! Oh my goodness, maybe we should send all overdue mums to the Tate! So many fantastic things to see and do! And it’s great for the teems, Nancy. Wink wink. Well I never! The things you find out when you’re reading blogs. Clarice’s surname is absolute gold! Thanks Trish! The Mondrian is a great hotel, love the name Sea Containers. I imagine Clarice really knew how to strut her stuff! He he, that’s why I like to mix it up with Standing tickets in the Yard. Gosh – you really know all the London things! I’ve walked this way many times and missed so much of this. I love the Christopher Wren plaque! And I’m now decided I must go to the Globe – I’ve never been. Jenny, you must! And the fake news plaque is just a few doors down. I love, love, love Borough Market sooo much! Also The Millenium Bridge is a fan of mine! I’m not surprised you love Borough market, Mme Foodie London! You will love the Globe, and the Swan restaurant inside does some lovely food. What fantastic detailed information! I can’t wait to explore this area more on my next trip to London. Thanks so much for having a read Liz! I haven’t been inside, but keen to visit the Castle as well. I hope to bump into some interesting ghosts! Bank side is so beautiful. I have not been inside Shakespeare’s Globe. One of my to dos for this year. This is such a lovely compilation of Bank side. I am saving it for a wander around in the city. 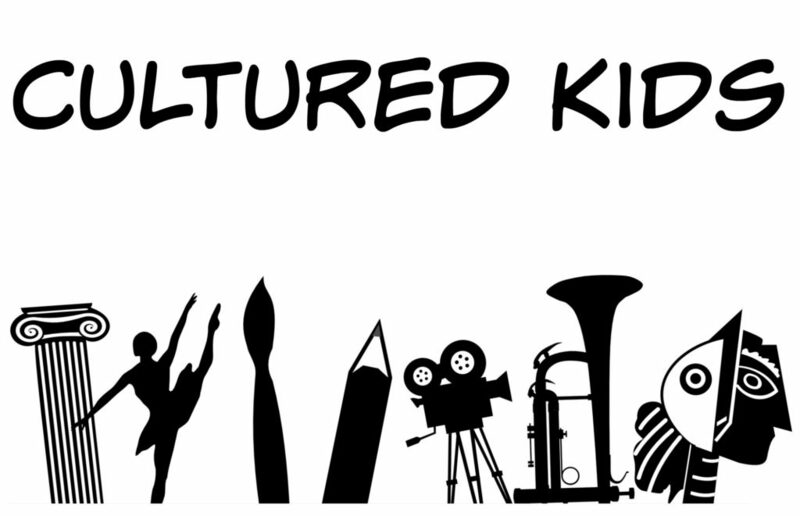 #culturekids. The Globe is well worth a visit, Usha. Hope you enjoy Bankside when you visit. Thanks Vyki. The blue plaque is a wonderful story it’s these little morsels that make London! It’s definitely worth a visit, Annabel. Great for the kids as well. I love the front of 49 Bankside’s owner! A very clever move. You’ve reminded me that I need to pay the George a visit. I used to go there a lot, but it’s literally been years now…. this is possibly my favourite part of London, full stop. So many happy personal memories there – and all that history…. I remember so well when the wobbly bridge was launched, then promptly shut. Seems strange to think that now, walking over it! Nice to revisit this fantastic post via #FarawayFiles. Thank you Nell. It was a very expensive exercise, but at least London has a magnificent bridge to show for it now. And no Death Eaters in sight!